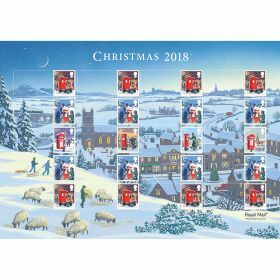 An ideal gift this Christmas - All nine Christmas 2018 stamps (four pictured here) plus the Miniature Sheet reproduced from the original stamp artwork are available as postcards. 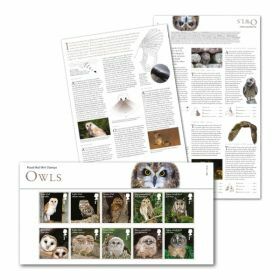 Perfect for framing or sending as postcards. 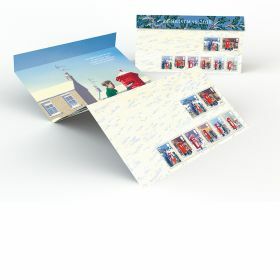 All nine Christmas 2018 stamps (four pictured here) plus the Miniature Sheet reproduced from the original stamp artwork as postcards. 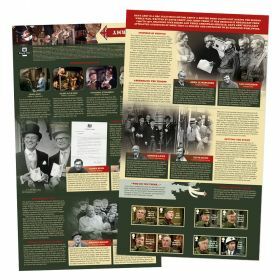 • An ideal gift, which is suitable for framing too. • Illustrations by Andrew Davidson.